For guests who have never been to a "real" Mexican restaurant and have only had the experience of generic, Americanized chains, this cuisine will be a revelation. 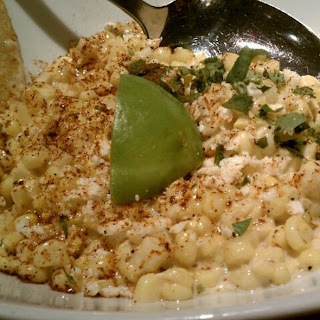 Kind of like "comfort food" has been transformed to an upscale experience in recent years, Elote Cafe takes traditional Mexican dishes and elevates them. Dishes cover several regions of Mexico and everything I've had on the modest sized menu is delicious! The namesake dish, Elote: Fire roasted corn with spicy mayo, lime and Cotija cheese. I got the recipe and it doesn't taste the same when I make it. They have an extensive tequila list and knowledgeable bartenders who will guide you through a tequila tasting if you like. They also have creative margaritas and a good selection of beers. 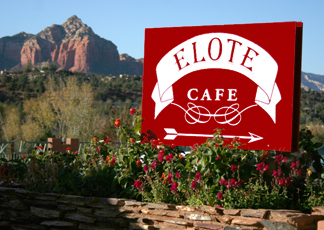 Elegant Mexican cuisine among the red rocks. Definitely worth the wait for a table.